So a little while ago, Rafael Marchetti contacted us through the Olive Oil Times Facebook page and said, “Don’t forget about Brazil, where some pioneering producers are trying to make some great olive oils.” Well how could we forget about the world’s ninth largest economy, Brazil, which makes up half of the population of South American, and that has lately been experiencing soaring olive oil consumption that has led exporters to expand their promotional efforts in the region. But recently the numbers have started to pull back, so we wanted to see what was up with that. Rafael, good morning, where it’s 11:30, it’s 9:30 here in New York. How are you today? Good morning, perfect. Thank you, I appreciate that opportunity to speak a little bit about what we’re doing here in Brazil about olives, and how the market is going with this thing of importing the olive oil. Yeah, it’s a pleasure, thank you. It’s nice to have you. Just to break the ice, how do you like President Trump? Well a lot of people talk about him here in Brazil, but I don’t see how it can change something here in Brazil. We are in a very deep political crazy, so anything that goes about elections around the world, people here are just going crazy. It’s something like here that is happening in Brazil. People just want to change anything. They don’t mind if it’s a new political, or something like that, they just want to change. Yeah, well I’m still in shock to be honest with you. It would be very easy to just despair for four years until someone else comes along, but I think it is an opportunity to show that those of us who are passionate and have empathy for all people, are stronger than those who wish to divide us. Besides, moving to Canada is much more complicated than people think, believe me, I’ve researched it. I can imagine that. Well, we’ll have to wait to see that for the next four years, and then we can see what happens. Enough about us, what’s going on in Brazil these days? People have been trying to grow olives here since the Portuguese people came here. I would say that it’s something new, now it’s something we are doing in a very modern way, I would say, with new varieties, new technology that we had proved to use. People are very interested on that. We have been producing this way since 2013, so it’s very recent. It started ten years ago with new varieties. Now we know some things that we didn’t know in the past, like the right varieties for the right type of soil. Something related to new trends, to pruning. All the things that people didn’t know in the past, and now we know. Also new ways to extract the olive oil well. People are interested in that and they want to get the most fresh olive oil they can get. These importers got down now for something related to the economic prices, I guess, but people that had money to pay for a better olive oil, like a real extra virgin olive oil. They don’t really care about that. Even if our prediction is less than 1%, compare it to all imports, people are still buying our oil. People that buy it, they don’t really care about the price. They know that it’s better for their health, it’s fresher, and it’s best for their having, better than most of the imported olive oils that are available at supermarkets. We’re doing better than we expected when we started this business. Yes, correct. That’s our company that’s actually a nursery plant. We have been producing plants for the forest markets for 40 years. This is still our main business, but we started using the same technology that we use for cloning and producing the plants. Then we started using it for the olive trees. Because of our climate, our soil conditions, the trees started to produce very early, actually very fast. From the first olive tree we made to the extra virgin olive oil, bought it and sold to the consumers. We started producing the plants in 2011, and then 2013 the plants were like two and half years. They were already producing. It’s very early because they get that size like the big plants in a very short time, because our winter here, we have the right low temperature for the plants to bloom, to produce. They still grow during the winter. They are still growing and we have more rain, we have more nutrients in the soil so they get bigger, faster than comparing to Spain or Italy. People from Europe come here and they see our plants, and they think it has eight, nine years. It has three or four years now, so they get bigger faster and then we can start harvesting earlier than the other countries. I would say we still have problems related to the excess of rain. We are very careful choosing the right soil, the right landscape to repair the soil in a proper way to drain the excess of water. Even with that, we are getting very good fruit during the harvest. That happens between February and March, so we get a very dry fruit that I think is better for good oil. We harvest in the period of the year that there’s no rain here in the South, so we can get this better fruit. Do you concentrate on certain varieties? Oh yes. We started with Arbequina, Arbosana, Spanish varieties and also the Greek varieties Koroneiki, because they produce early in the country I guess. Now we are seeing results from Manzanilla and Picual, the other two main varieties in Spain. Also some Italian varieties like Leccino, Frantoio and Coratina. They’re starting to produce now, when the trees have four or five years. They are starting later than Arbequina, Arbosana and Koroneiki, but in our nursery we have more than 20 varieties. We are still doing research on them, like cloning the trees and planting in different climate conditions here in the South of Brazil to see how they adapt in different conditions. I would say at the same time we are producing, growing the trees, doing the harvest, producing the olive oil, we are also doing research on these varieties. Everything is new for us, and we can’t do research on books or something related to the conditions in Europe, because it’s totally different from the soil, from the amount of rain, everything is different. We are creating our own study, research on olives here in Brazil. You produce seedlings that you then offer to farmers in the region, that’s correct? Yeah, that would be the main business now, more than the olive oil producers because it’s new. There’s a lot of investors not from the agriculture sector, that they just want to have their own olive oil. Some of them are making small projects that they want to sell the fruit for us, the olives. That we produce their olive oil, but there are some investors that they are very big here from other sectors of the economy. They want to produce a lot of olive oil, very large area so our company is base it that like. On that model, so you have investors that invest in these real estate holding really. Who buy the seedlings from you and then sell back the fruit, back to you. Correct, we offer them that. We offer the olive seedlings and we help them to grow this. If they want us to grow, or go there to take care of this for them, we can do it. We have a client, he lives in the US, he’s Brazilian but we never met him. We just talk by email and phone. We are taking care of the grove, we just take care of it. When it produces, we will harvest the fruit, produce olive oil, and then he can choose what he wants to do with that. How many hectares do you have under management currently? From our own company, we have something between 280 hectares. It’s just our farm. We have some customers, some clients that have like 3, 400 hectares, but all these trees are very, very young. In the last five years, we planted something like 2,000 hectares here in the South. It’s growing very fast. Most of the trees don’t produce now, because they’re young, but in a couple of years they will be producing. Certainly there will be a lot of Brazilian olive oil available. How much of the production is high density? We don’t have the high density here. We want to try it, but we are very afraid of how it can go. As I said, we have problems with excess of humidity. The excess rain may cause some fungus or some problem related to the excess of water. We don’t want our tress to get too close to each other. We want to try it, just to know if it can work or not, just to be sure but now we don’t have any. There’s no one doing this in Brazil. We do like 250 to 300 trees per hectare. How are your production costs, and is it possible to find the labor to do the harvest? Right, well, the plants, the trees in US dollars I would say you’d spend something like four to five thousand dollars per hectare. To harvest is certainly the most expensive part. Even here, in Brazil because it’s getting harder and harder to find people to work the field. It’s something that is normal here in the South. It depends on the area of the state. It’s harder because we harvest grapes for wine production at the same period. Our state is the largest producer of wine in Brazil. It gets really difficult to find people to work the field at this period of the year. It’s not that cheap as some people might think, because here is more expensive than the rest of the country. So that could be a significant challenge for you is to hold those production costs in line with other producing regions that can use the high-density production. Correct, yeah. I would say that it’s cheaper oil comparing maybe to the Chilean olive oil, because they produce in the high-density model. I would say we have to go for the highest quality possible. Producing a different olive oil, because it’s new, it’s rare, it’s exotic to say that you have a Brazilian olive oil and people want to taste it. I would say they won’t be disappointed. We are getting a very different quality. For Koroneiki olive oil, we got an award in Italy. It was super Medal. It was our first competition and we got this. It’s good to show us that we are doing something good, even in a short time, and to show people, even here in Brazil that it’s possible to produce a good olive oil here. People here still goes like if it’s imported it’s better. “I’m buying this imported olive oil from Italy, and wow, this is like the best olive oil in the world.” We are going on this thing like we want to show to people that you should buy it closer distance between the production and you is shorter, you can get a better olive oil because it’s fresher. It didn’t have to cross the ocean to here. We are going in this way, and different for Chile, Uruguay, Argentina, we don’t have to export it now. People here in the country want to consume olive oil. Produce more, certainly we could, wholesale in the Brazilian market. Not only does it not need to go across the ocean, but after March you have the freshest olive oil in the world. And so how much oil do you produce now? I know that it’s growing every year, but for example. This year was the largest production. We’ve got something like 15,000 liters. It’s a very small amount if we compare to what Brazil imports, but I mean we are putting this in the market with a good price. The half liter for like $35 in Brazil. So that’s an expensive bottle of olive oil. Yeah, if we compare to the imported olive oil, I would say that it is expensive. I’m not saying that you can’t find more expensive olive oil. Those that are very special, imported from selected producers. If you compare to the olive oil, most olive oil you can find at the supermarket, it’s very expensive. That’s what we want to explain to people, why it’s more expensive because people think it should be cheaper because it’s produced here, but when we compare the quality, there’s nothing like very fresh and green olive oil as we produce. People don’t know that. So I would imagine that a lot of your marketing is focused on educating Brazilians about olive oil quality. Yes, that’s something I always say here. That’s not just about producing a very special, different extra virgin olive oil and just throwing it at the stores and expecting something to happen. We doubt doing this thing that is the most difficult, about educating people about something that they don’t know. They can’t even imagine it because they don’t have options like other olive oils to compare with theirs available at the supermarkets. It’s something really, really difficult but we are very glad to find people that want to hear us, and they already know about the quality. We do a lot of tastings special places, like public markets or stores. After people taste it, it’s like wow, they go crazy about the smell, the taste. After this we are sure we have a customer for life. Are you exporting any oil now or no? No, there’s no one supporting now I can tell, because we are having the biggest production now. Those 15,000 liters was the production and nobody’s producing more than our company. We are sure that nobody’s exporting because there’s a lot of people here. It’s a very small market. If we compare to the rest of the low-quality olive oil, but it’s still very big. If we see the size of our country, how large it is, there’s a lot of space to produce a very high-quality extra virgin olive oil, and people will pay for this. If we say that it’s healthier because it’s produced here so it gets to the consumer with more polyphenols and all the things we know about the quality, then people will prefer Brazilian olive oil rather than a very special imported olive oil, because they don’t know how old it is. How long it took to get here to Brazil. Just because in the past my family came from Italy, but we want to show that we still have this Italian thing of quality. Basically because it’s related to our family. How did you get in this business Rafael? I started working at the company normally when I was 17, because the company is me, my father and two other partners. When I was 17, actually it was 2011. I could work on this olive oil thing from the beginning. That was basically because our company wanted to have another thing to produce. We saw that some people were trying to produce the olive oil here. They were already doing this, but no one was doing like the professional way. Most of these people were from another sector, not from agriculture. They traveled to Europe, they saw the olives, and they loved by the olive oil. They got back here and they poured the olive trees, the olive seedlings and they started it. Our company basically saw opportunity to do it in a more professional way. Offering better olive seedlings and all this help we can offer to those who want to plant. Not like just throwing the olive seedlings to them, because as it’s something really new, people just don’t know where it’s better to plant it, what’s the right kind of soil, what’s the machinery to use, everything related to the growing. You can help them to achieve this. We have been reading about the fact that Brazilians in recent years, have been consuming more and more olive oil. If fact, it has been a big story in the olive oil industry. This is a big country, and it’s one of the fastest growing countries for the consumption of olive oil, but in the past year or so, it has slipped somewhat. So why do you think suddenly there is a decrease? Is it simply because it was growing so fast, and maybe it is leveling off or what? We could see something like the past years, something like growing of 15% in consuming. Yeah, in the past year we went in a very deep economic and political crazes. Just really bad for low economic classes of the country, so people wouldn’t spend. Olive oil, if they could buy a cheaper oil, not necessarily olive oil. Also related to our currency, comparing to dollars we’ve got a very low value. Importing olive oil got more expensive. We saw it at the supermarket. We just saw that the olive oil got more expensive so most of the people that was normally buying olive oil, especially because of this moment in the country, they are simply not buying. I’m sure that the very high-quality olive oil, for those people are still buying because they weren’t affected by the economic crisis. Now I’ve got some feedback about the quality, that it’s very different. We can get sensory difference, like for the Koroneiki oil, that it’s different from the Koroneiki that they have in Greece or in Chile. We get a very distinctive smell and taste. Correct, basically for our type of soil, nutrients. I would say that for wines here too, because we have a very large production of sparkling wine, and it’s a very top quality. Better than the red wines here in the South of Brazil. I mean twenty years ago people didn’t know anything about wine. People started getting interested about the varieties, what’s a Cabernet, what’s a Tanar. We can see that the olive oil can go the same way as wine did here. Like for the varieties, different regions of production, because any culture of the world. Some people may think that there’s just one kind of olive, and you just can get the same olive oil. If you compare to wine, Brazil, I would say that we would go in the same way, because people like to show they know different things about different foods. Even if it’s wine, beer, coffee, now olive oil. I think it’s a trend to know more about what you are consuming. From where products coming front. So in addition to the terroir, and the choice of varieties, and the careful harvesting that you do, what are some of the other steps that you take to ensure the high quality of the olive oil you produce? If we get in very good fruits, we take it to the extraction very carefully. I would say it’s like, we can do it in any part of the world, but the right machinery. Everything had to be just perfect at the moment we start crushing the olives. I would say that’s something related to the machinery. I would point out that the quality of the olive oil is based on three things. It’s the quality of the fruit, if it’s at the right point of maturity. If it’s perfect with no diseases. The proper way we take it from the field to the extraction, and then machinery itself, if it’s clean, if it’s regulated to extract the olive oil properly. I really believe that’s something related to our soil can get us a very distinctive olive oil. Even for polyphenols level, we’re doing some research on that. We may get higher polyphenols levels for some varieties like Arbequina that they naturally don’t have those higher levels. You can’t say it’s about certain new trends, or if the PH level’s lower or higher, or if there’s more rain or less rain. We will see this in the next years, related to the polyphenols level. That is something really interesting. I saw that people there in the US at those special stores, they buy the oil by the polyphenols level. If we get something really different, we may think about selling this to a very special market. Just if it’s something related to our conditions, climate and soil. 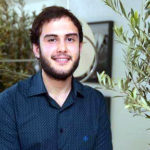 Rafael Marchetti is a producer with a Brazilian nursery Tecnoplanta, where they produce the extra virgin olive oil brand Prosperato. Rafael, thank you very much for joining us today. It was a great pleasure. Thank you, that’s great to have this opportunity. Thank you.